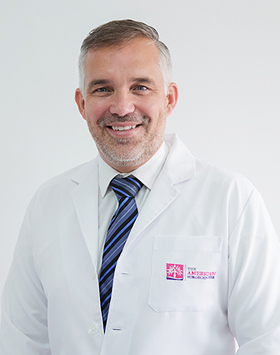 Dr. Timm Wolter completed his studies in Germany and the USA and earned his medical degree and his specialization as a Plastic and Reconstructive Surgeon in Germany. In addition he is a board certified Hand Surgeon. His PhD thesis focused on autologous and artificial filler materials and his research interest remains on fat tissue. He worked as a senior attending in a University Hospital and Burn Center as well as a private aesthetic clinic in Germany and Belgium. In 2014 he moved to Abu Dhabi as a Consultant Plastic Surgeon and worked as the Head of the Department of Aesthetic and Plastic Surgery at Healthpoint Hospital and at King’s College Hospital Clinics. He is a Fellow of the European Board of Plastic, Reconstructive and Aesthetic Surgeons (FEBOPRAS) and a member of the Emirates Plastic Surgery Society (EPSS), the German Association of Plastic Reconstructive and Aesthetic Surgeons (DGPRAEC) and well as the International Society of Aesthetic Plastic Surgeons (ISAPS). His motto is "Form, function and beauty go hand in hand".